Optimized for Server Environment - ESET File Security for Microsoft Windows Server has been engineered specifically around the needs of Windows-based server platforms to provide smooth performance for a continual level of security. Version for "Core" Servers - Take advantage of the lightweight version optimized for mission-critical servers based on "Core" edition of Windows Server. Advanced Setup Tree - Redesigned advanced setup tree for more intuitive navigation. Automatic Exclusions - Automatic detection and exclusion of critical server files for smooth operation. eShell - Run scripts to set up configuration or perform an action. eShell (ESET Shell) is a command line interface tool. In addition to all the functions and features accessible from the GUI, eShell brings the possibility to automate the security management of ESET Security products. Protects against all types of computer threats including rootkits, worms, and viruses. 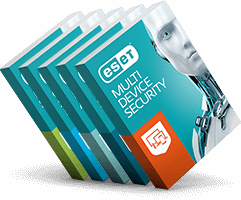 Technology that protects ESET security solutions from being modified or deactivated. Ensures quick and smooth installation of ESET File Security for Microsoft Windows Server. Signature updates and new technological improvements from ESET Labs are downloaded and installed on-the-fly. Utilizing sophisticated methods for malware detection, the ThreatSense® scanning engine provides superior protection for your company's data. ESET File Security for Microsoft Windows Server uses minimal resources and leaves more memory and CPU power for critical system tasks. With inbuilt advanced tools for resolving various issues: ESET SysInspector for system diagnostics and ESET SysRescue to create a bootable rescue CD. Stay abreast of company security with detailed and comprehensive security logs, protection status information and system notifications.